Today we present the winner of the Mom’s Choice Silver award. This charming book, written for ages 3 to 7, is certain to delight your young readers. Author Kristin Anderson Cetone is currently on a virtual book tour with iRead Book Tours to introduce Buckaroo. You will find her at many sites with interviews and articles she will share. We are pleased to have an interview with the author here below. Check it out and see if you don’t agree children will love this sweet and inspiring story. It’s a wonderful thing to give children the love of reading. Born and raised in Ohio, the tiny buckeye nut ‘seed’ was a natural part of my life. I thought to myself, “this tiny buckeye nut seed could represent the tiny ‘seed’ we all carry within us with our passions and dreams. With proper nourishment from family, culture, education, and life experiences this tiny seed will sprout and grow mighty…despite discouragement and self-doubts along the way, just as the majestic buckeye tree grows from a tiny seed. So, I brought Buckaroo Buckeye to life. Did I mention, that as a child I was always fascinated about the days of the cowboy and the old wild west. So, I decided to transform my buckeye nut seed character, into a cowboy, ten years ago! Yippee! Actively, I have been writing for ten years. Which was the hardest character to write? The easiest? There is only one main character in my story and his story was easy to connect to me and my life journey. My three characters in my sequels were also easy to write as they directly relate to three very influential female members of my own family. The hardest part was coming up with my character names, since they are buckeye nuts, and giving them human experiences. As I just mentioned, from my roots in Ohio and my own family and family tree. Children’s picture book stories. The format for this genre is short, with a message, and uses endearing pictures to help tell the story. In your book you state, “Why, you are a worthless nut just like the rest of us” …. why is that? Winner of the Mom’s Choice Silver and OneBookAZ Awards! There’s a new cowboy in town! Hit the trail with Buckaroo Buckeye, a lovable little nut who falls from his tree in Ohio, as he dodges the bumps and bullies along the way in a magical journey to find his true place in the world. • “Dream, Believe and Achieve” no matter their size! Your child will be inspired by Buckaroo’s determination in this touching story with unforgettable characters illustrated by Nadia Komorova. Get yours today! 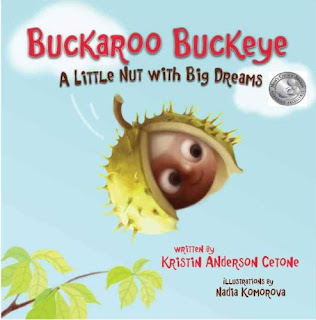 Buckaroo Buckeye grew out of author Kristin Anderson Cetone’s imagination and joy of reading. Born in Dayton, Ohio, she traveled many miles before putting down roots in the Arizona desert. Influenced by family, education, life experiences, and a desire to teach others, Mrs. Cetone discovered her purpose—just like Buckaroo Buckeye did. 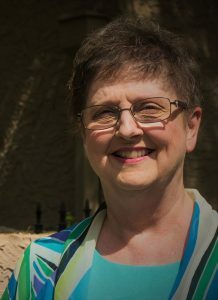 Her true calling and passion is writing and helping others become successful readers. She created Buckaroo to encourage children to believe in themselves and follow their dreams while dodging the bumps and bullies along the way. Reading will help guide the way. Being a Reading Specialist, she has also created Nuts About Reading™ an informal, supplemental, online reading service. She shares her insights and suggestions to help parents strengthen their children’s reading process and become successful readers.